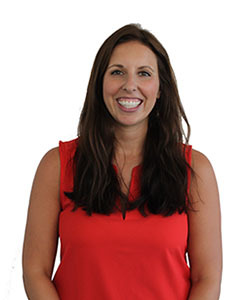 I had the opportunity to attend a webinar with Lynn Carter, Director of Talent Acquisition at Netflix. Many of you know Netflix as the first company to ship a DVD straight to your home (my mom still loyally queues up movies to be delivered to her Oregon home every week). In the past decade, Netflix has also gained recognition as a leader in organizational design and culture. Having had the chance to learn from Carter, I listen to Netflix Founder and CEO Reed Hastings on Reid Hoffman’s podcast, Masters of Scale. From these two interviews, I discerned three key lessons from how Netflix thinks about building and evolving their organizational culture that I think are relevant to any leader who wants to strengthen their own organizational culture. In many organizations, there is an unhealthy emphasis on process and not much freedom. These organizations didn’t start that way, but the python of process squeezed harder every time something went wrong. 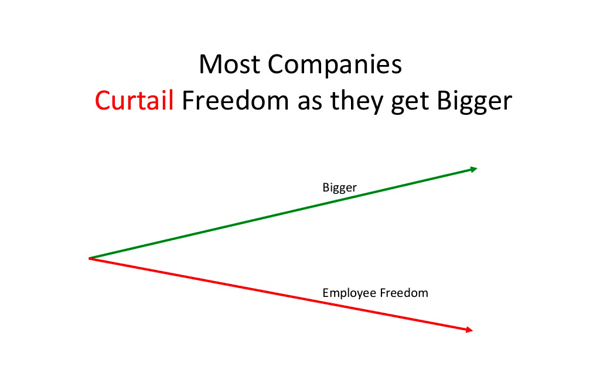 Specifically, many organizations have freedom and responsibility when they are small. Everyone knows each other, and everyone picks up the trash. As they grow, however, the business gets more complex, and sometimes the average talent and passion level goes down. As the informal, smooth-running organization starts to break down, pockets of chaos emerge, and the general outcry is to “grow up” and add traditional management and process to reduce the chaos. As rules and procedures proliferate, the value system evolves into rule following (i.e. that is how you get rewarded). If this standard management approach is done well, then the company becomes very efficient at its business model — the system is dummy-proofed, and creative thinkers are told to stop questioning the status quo. This kind of organization is very specialized and well adapted to its business model. Eventually, however, over 10 to 100 years, the business model inevitably has to change, and most of these companies are unable to adapt. To avoid the rigidity of over-specialization, and avoid the chaos of growth, while retaining freedom, we work to have as simple a business as we can given our growth ambitions, and to keep employee excellence rising. We work to have a company of self-disciplined people who discover and fix issues without being told to do so. We are dedicated to constantly increasing employee freedom to fight the python of process. The metaphor of a python is so vivid. I have literally been at organizations the moment this python is born and seen the effects of it squeezing tighter and tighter until creative, innovative people exit en masse. As leaders, it is our challenge to think about how to develop systems that provide clarity, not complication. Not every organization wants to exit brilliant jerks, and not everyone wants to work at an organization where they are expected to actively question actions inconsistent with company values. However, by being upfront about what they’re about and who they’re looking for, Netflix has increased employment and retention. As Reid Hoffman has argued, “I believe strong company cultures only emerge when every employee feels they own the culture — and this begins even before the first job interview.” Netflix is clear about what it is and isn’t. Do you want to develop your skills as an education leader and bring about effective change in your school or district? 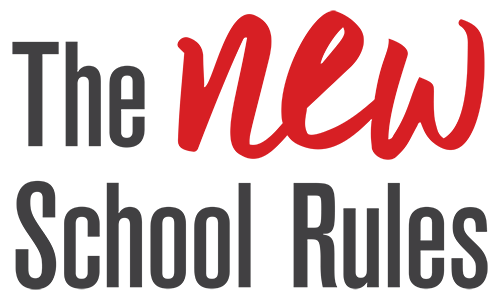 Join as at the NEW School Rules Leadership Institute in December!